Atlas Copco’s class-leading BD 100+ – 300+ heat reactivated adsorption desiccant air dryer range is designed and engineered with a focus on delivering maximum efficiency and reliability in diverse ambient conditions. The air dryer range effortlessly meets every requirement for demanding applications that require an uninterrupted, ultra-reliable supply of clean, high quality air. 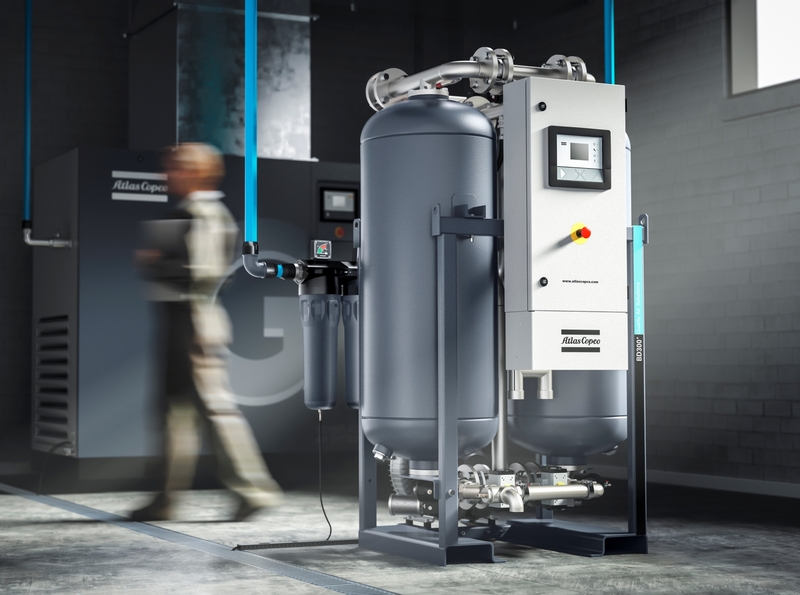 “Ever cognisant of customers’ ongoing drive to reduce energy consumption, the BD+ range keeps energy costs to a minimum by using mainly heated ambient air to dry its desiccant as part of the regeneration cycle,” states Wayne Jacobs, Business Line Manager, Industrial Air Division at Atlas Copco Compressor Technique. Jacobs adds that the BD+ blower purge technology delivers further cost and energy savings by allowing the downsizing of both the BD+ desiccant dryer and the compressor. The BD+ range which comprises five models with capacities ranging from 100 l/s (212 cfm) to 300 l/s (636 cfm), features two-stage inlet and single-stage outlet filtration, fork lift slots and a regeneration air manifold as standard. The range’s robust vessels and galvanised piping with flanged connections guarantee efficient regeneration while minimising leakages and keeping pressure drops low. Stainless steel check valves, a stainless steel three-way valve and blow off silencer with integrated safety deliver performance durability and extended service life. The addition of an optional AirMonitorTM or communication box allows for browser-based remote monitoring and complete remote control via profibus or Modbus. According to Jacobs, these broad, flexible monitoring possibilities allow unprecedented levels of user convenience for a diversity of installations across industry. These fully packaged, ultimately reliable units are easy to install and are delivered complete with filtration and microprocessor controls. 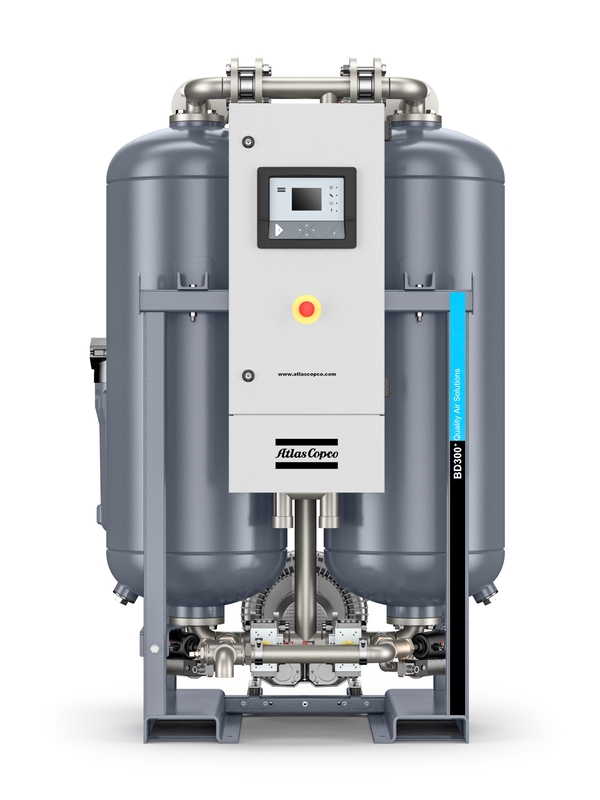 The Atlas Copco air dryer product portfolio also includes the MD and CD+ desiccant air dryer range as well as air and water cooled refrigerant dryers (FD & FX). Atlas Copco BD 300+ air dryer_ maximum efficiency meets ultra-reliability. Atlas Copco BD300+ _the BD+range keeps energy costs to a minimum.